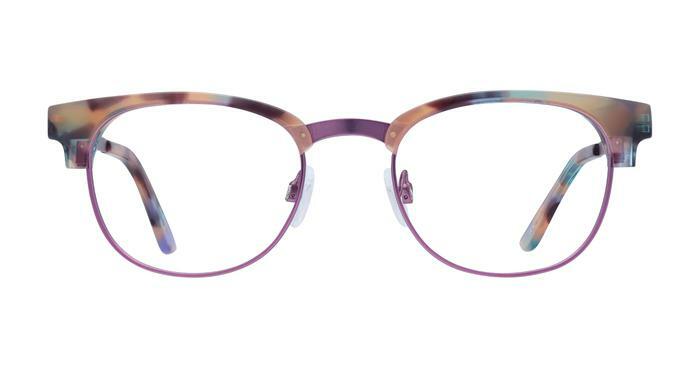 A Feminine lightweight plastic frame and brushed metal arms in colours to match. Lovely glasses, loved the look on line and was not disappointed. Lightweight frame and a good fit.